DK Readers will help your child learn to read and encourage a life long love of reading whilst learning about spiders. Encourage your child to read. 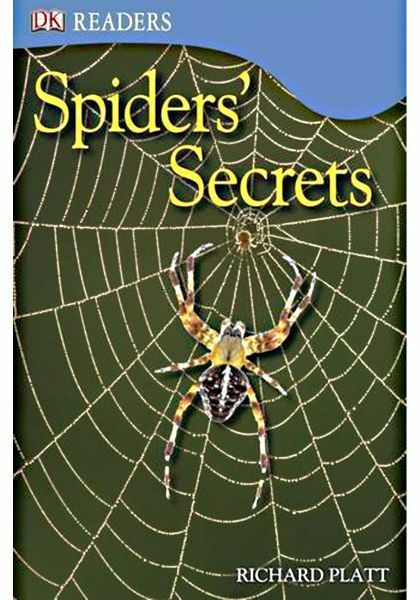 They will learn about six creepy spiders, from hairy tarantulas to eight eyed jumping spiders. DK Readers are part of a five level, highly pictorial reading scheme, with lively illustrations and engaging stories to encourage reading. Level 3 have a rich vocabulary, challenging sentence structure, additional information, and an alphabetical glossary and index to build literacy skills ideal for children who are just beginning to read alone. This title features over 100 DK Readers in the series.